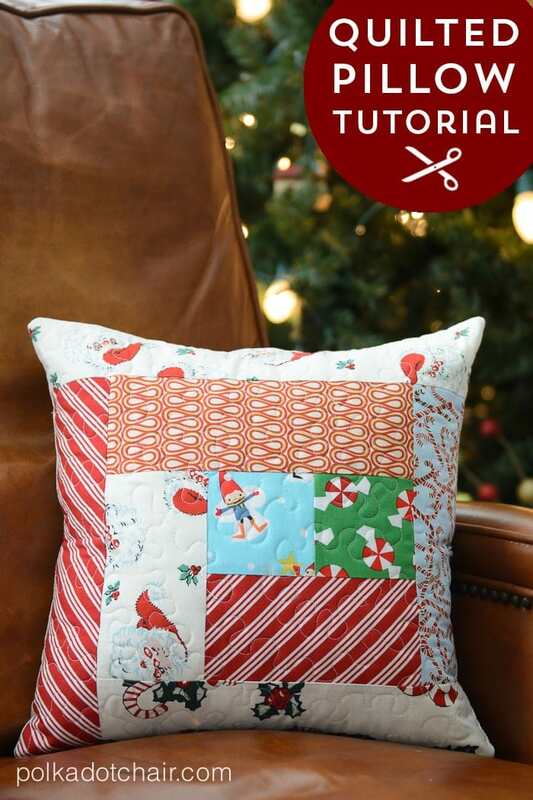 Today I’m going to show you how to make a quilted pillow for Christmas or any other holiday! 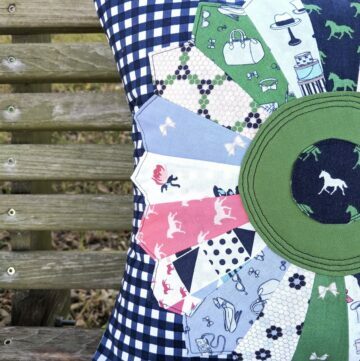 This pillow uses a simple log cabin block, stitches up quickly and makes a wonderful gift! Wait, is Christmas over?? Well yes it is… the silly thing about Christmas is that if you make gifts for someone then blog about it, it kinda ruins the surprise. 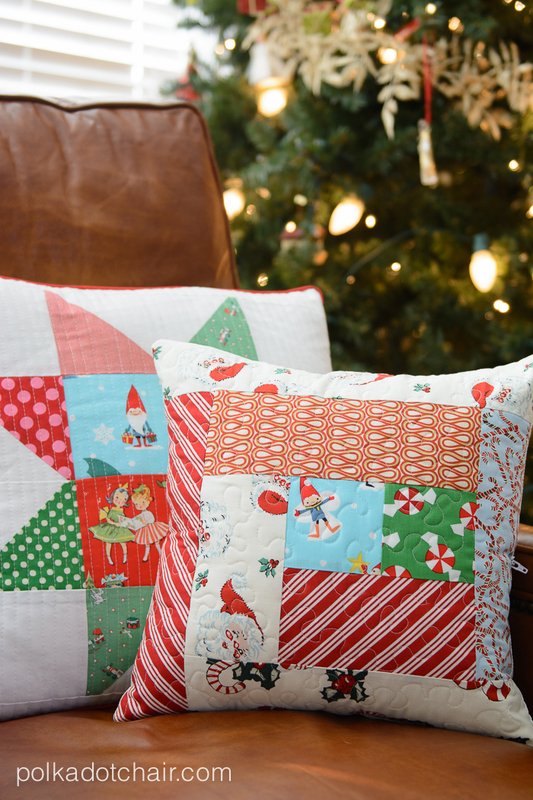 That’s why today I’m going to share with you a tutorial for these little quilted throw pillows that I made for friends and family this year. The pattern is really simple so I was able to make about 10 in a short amount of time. 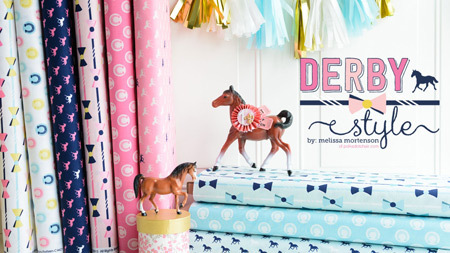 You can also just switch out the fabrics and use these for other holidays. So you can pretend they are Valentine’s Day pillows if you like. The pillows are a basic log cabin block. When making a log cabin block you need to pay attention where the light and dark fabrics are placed in relation to each other. Many times all of the light fabrics are on the right hand side of the block and the darks are on the left hand side of the block. Another layout is the lights are in the center, with the darks on the outside. 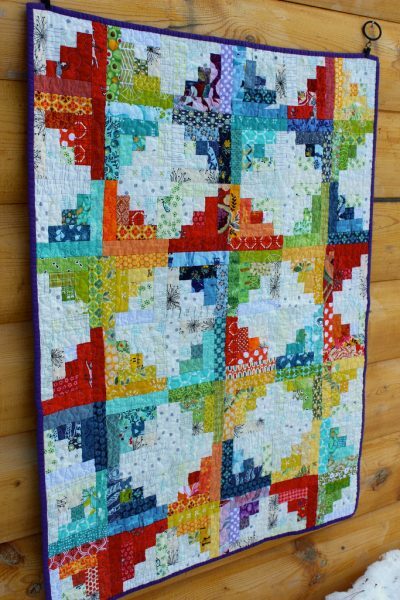 When you sew the blocks together to make a quilt these principles become very very important and can change the entire look of your quilt. But, I wasn’t making a big quilt, just pillows. Some of the pillows I made have all of the light strips around the center, and some have them randomly placed (like the one in the largest photo above). After I was finished making them I decided that I liked them with the light strips in the center, so I kept the random one for myself… is just a mish mash. Whatever you do, just take a second to see how you want them to lay out before you start. These pillow are about 15 1/2″ square when finished. 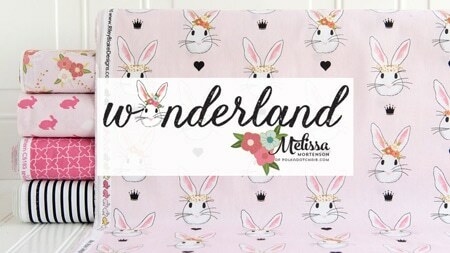 You can put them in a 16″ pillow and have them super stuffed or use a 14″ pillow form and have looser stuffing. 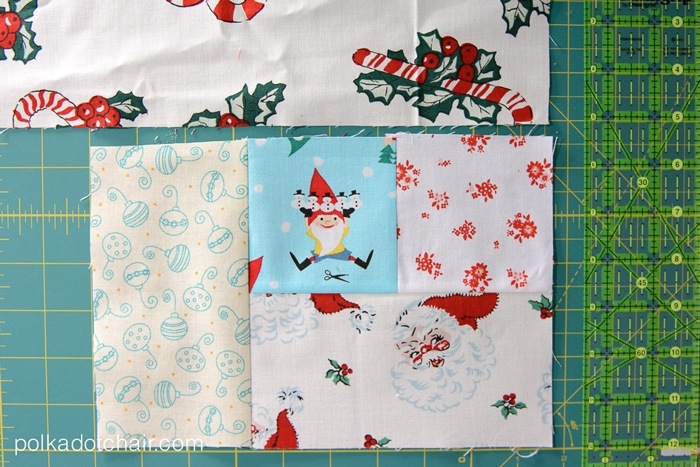 Start by sewing one of the 4″ strips to the right side of the 4″x4″ square. Trim the piece to fit the square. Press. 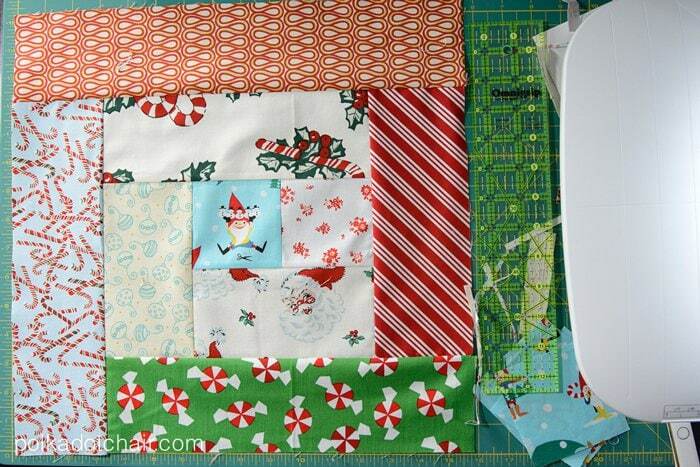 Pin another 4″ wide strip of fabric to the sewn fabric squares. Stitch. Trim and Press. 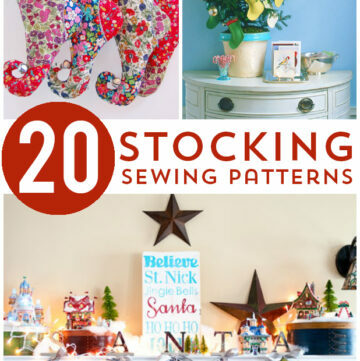 You’re going to work in a clock wise fashion trimming and pressing each strip as you go. 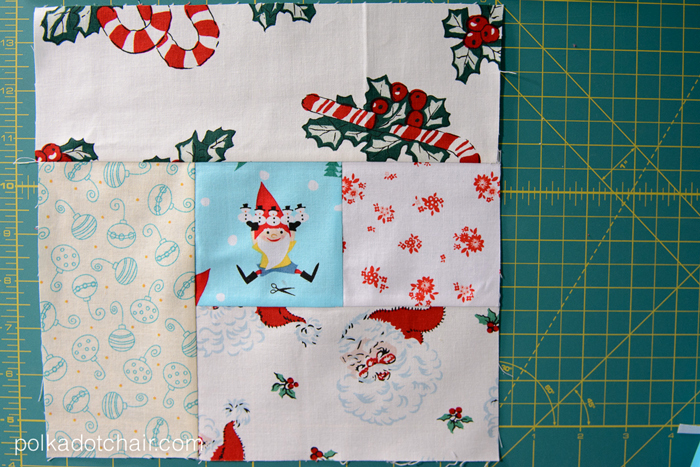 Keep working until you’ve sewn 8 total strips to the 4″x4″ square. That’s it. Pretty simple huh! 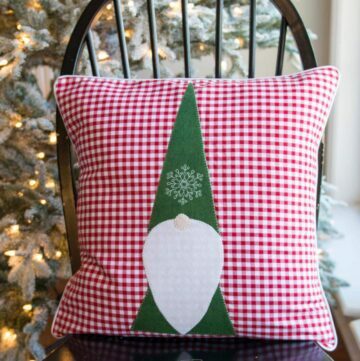 Since I wanted my pillows to have a “scrappy” feel to them I just used random novelty Christmas prints. When you’re done, quilt the pillow. 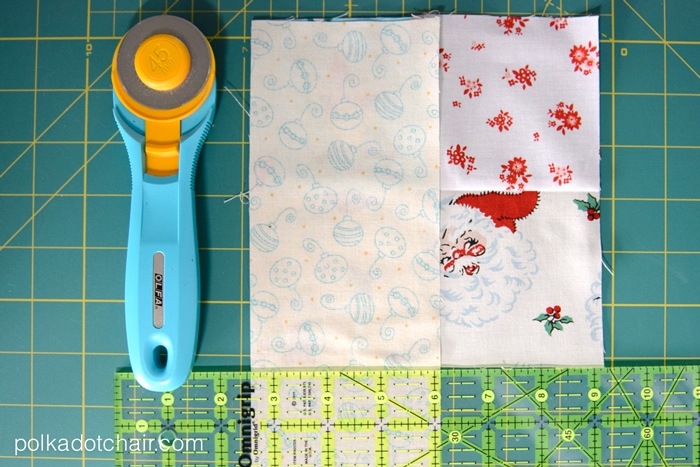 For instructions to quilt the pillow click here. 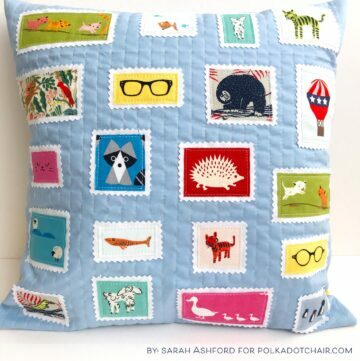 Sew a back on the pillow. I would recommend the zipper method from my Dorm Room Pillow project– but use whatever method you like best to close up a pillow. 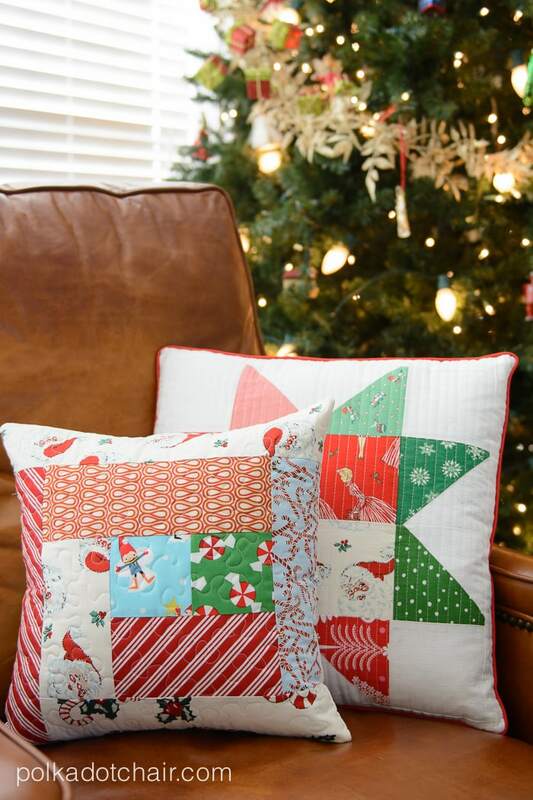 Here they are shown with my Quilted Christmas Pillow from last year... can you sense a theme here?? I’m thinking next year I’ll make a tiny pillow to round out the bunch. You made 10?! And you are already so busy! They are lovely though, thanks for the tutorial ! adorable! you have lucky friends! 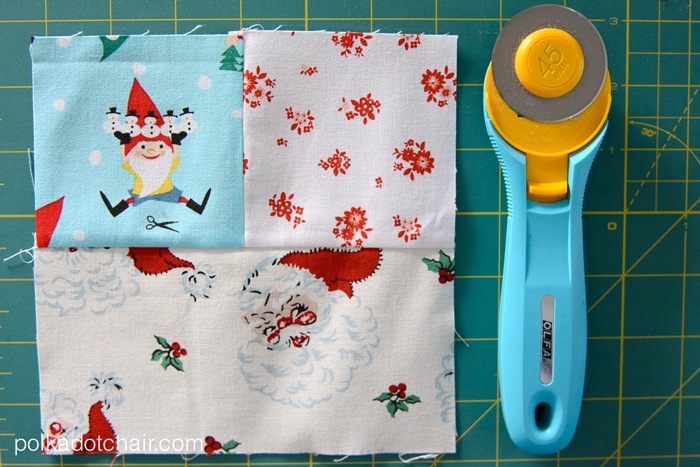 There’s no link for the quilting instructions…. I’m enjoying the Christmas posts still. 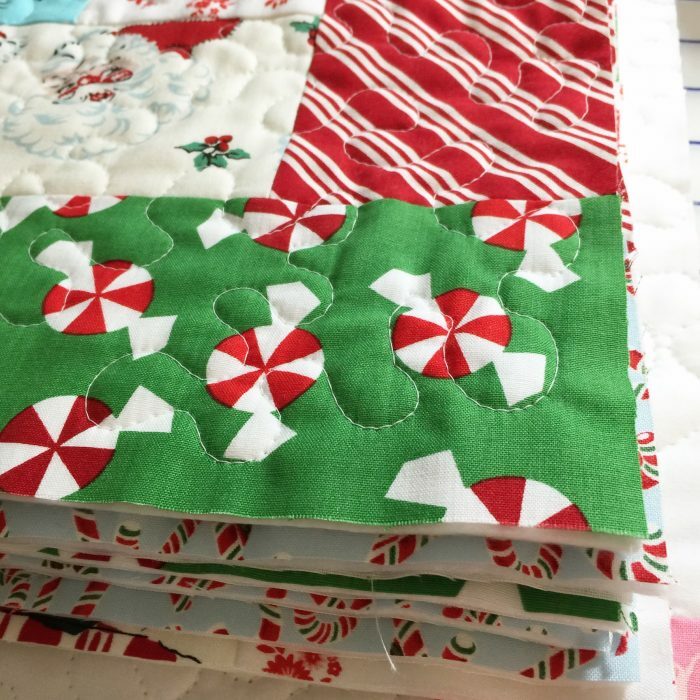 Quilts, pillows, runners, I love holiday makings so much :) I have a few Christmas quilts I’m going to be working on instead of waiting until December! 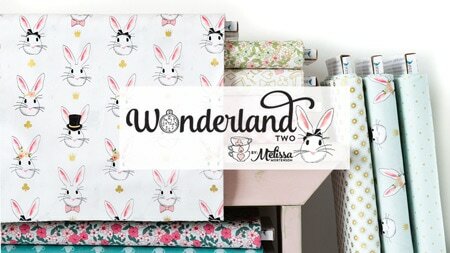 Can you please post more tutorials for your quilted pillows? I love them! 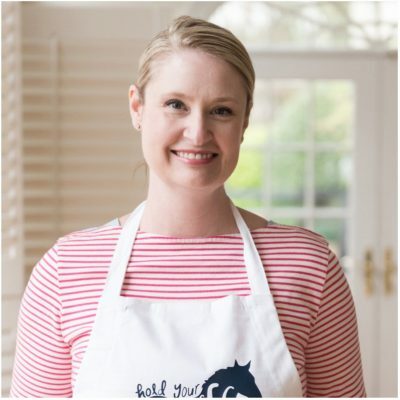 Can u post the link to your other quilted pillow tutorials? 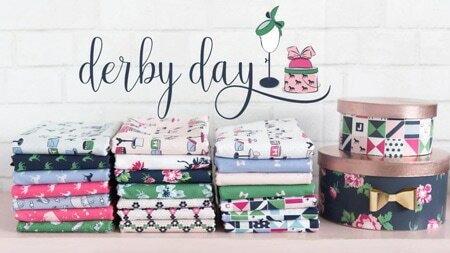 I made this one and it made such a nice Christmas gift!